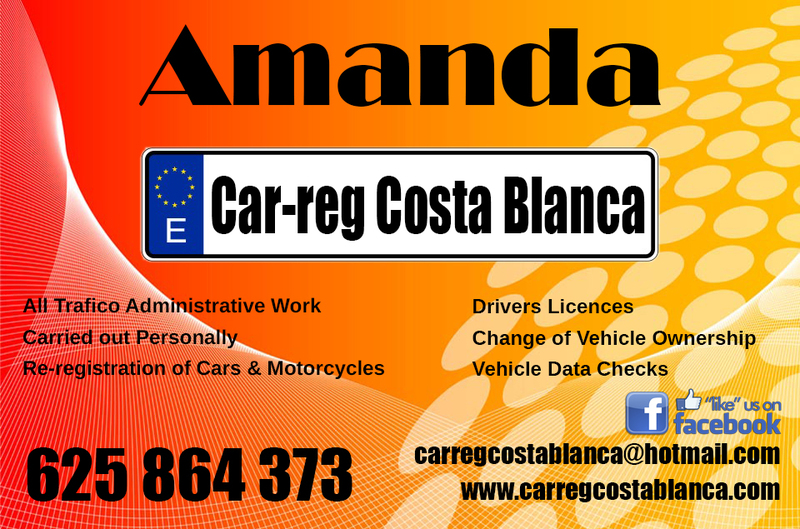 Car Reg Costa Blanca is a family run business with Amanda taking care of the car registration side of the business while Mike takes care of any vehicle work for their clients. They had their own successful garage business in Ilfracombe for 8 years before coming to Spain for the climate and better standard of living. Amanda worked in the investment banking sector for 10-years and learned the Spanish language at a college in Torrevieja. With many years experience in the Spanish vehicle registration business you will find that Amanda can answer any of your questions regarding the complete registration process.